Abundant blue flowers are carried on this spectacular variety, selected for its trailing growth and good flower colour. An absolute must in any herb garden for its aroma, attractive presentation and taste. 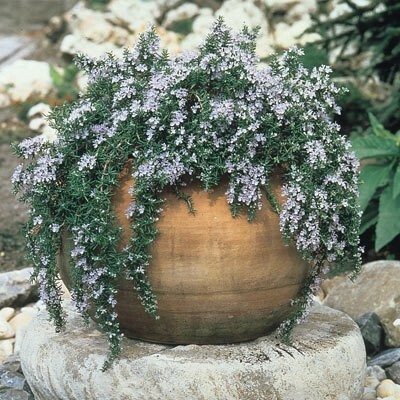 Prefers full sun, or partial shade with free-draining soil or compost. Supplied as large bushy plants in approx 2 litre containers.